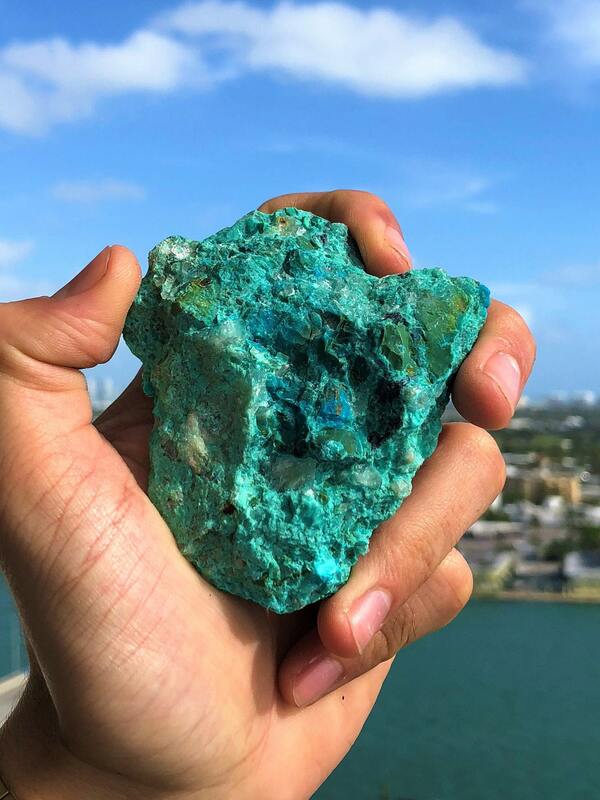 This beautiful Chrysocolla crystal varies in shades of blue-green that first will catch your eyes, the stunning color ray that conjures up images of our vast and beautiful oceans. 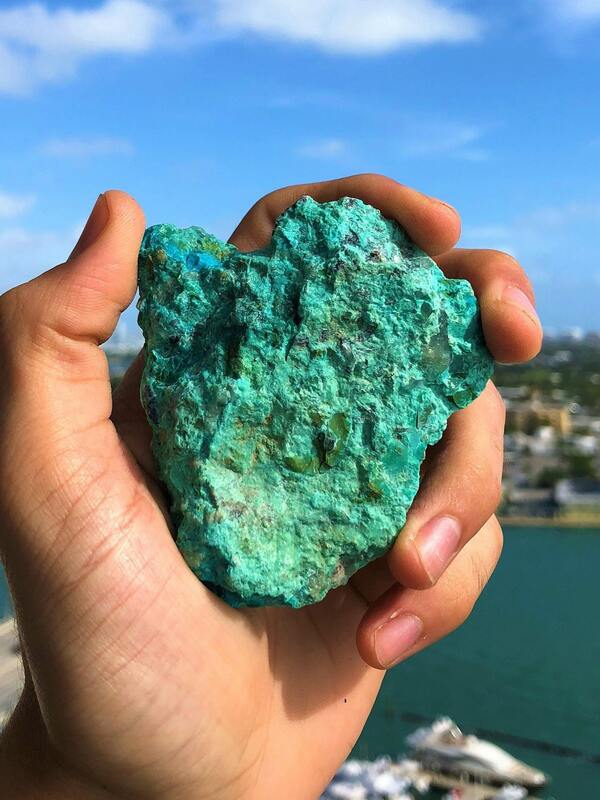 The peaceful and soothing vibes of the ocean reflect the Chrysocolla crystal properties, which help cool off fiery, hotheaded emotions as soon as it touches the skin. 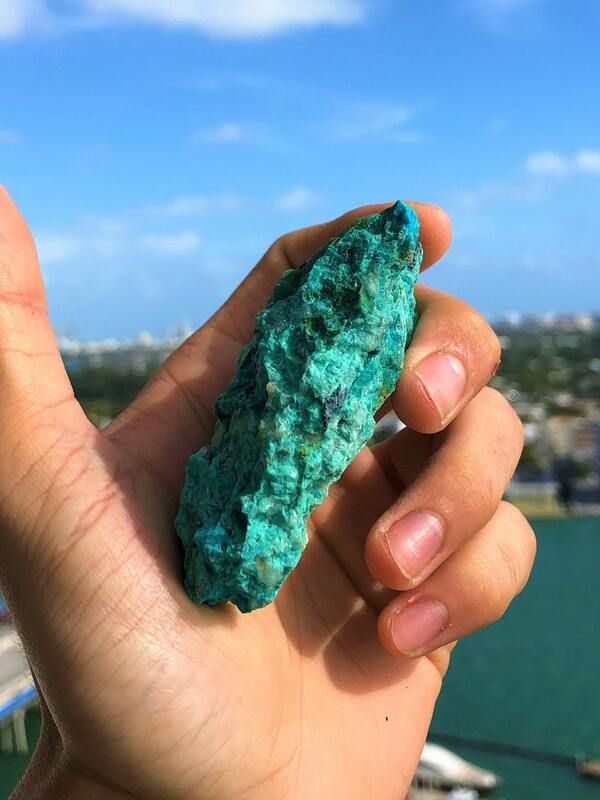 The best prescription for easing work-related stress, the Chrysocolla crystal reminds us to check out of everyday life and take some time to float down the Turquoise river of your inner spirit. 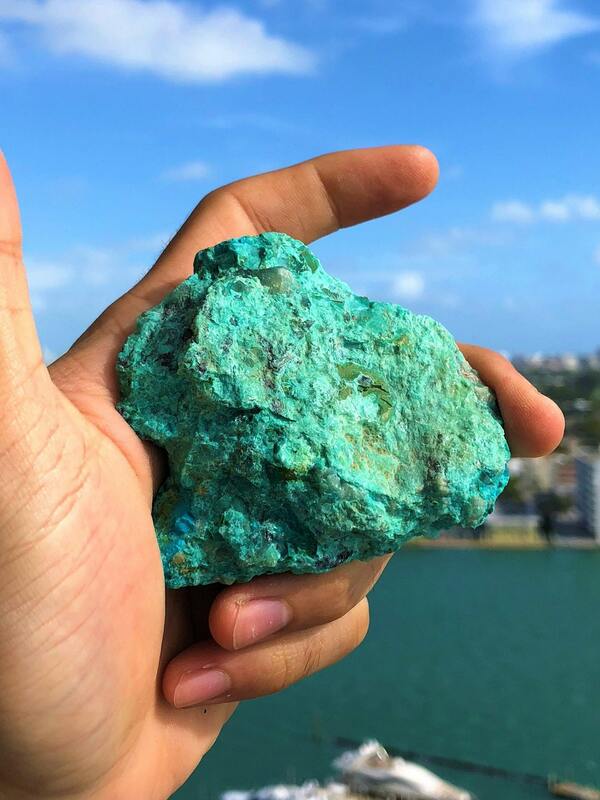 Receive 1 ONE EXACT Chrysocolla stone SEEN in photos. It also opens the throat chakra, which boosts clear communication and self-expression by drawing negativity from the body. Whatever challenge you're facing, whether it's a break up or job loss, the stone calms emotions so you can heal and move on with your life instead of dwelling on past mistakes. Everyone suffers from daily stress and worry, a typical cause of communication problems, but this stone clears the mind of distracting thoughts and guides us towards a higher consciousness.